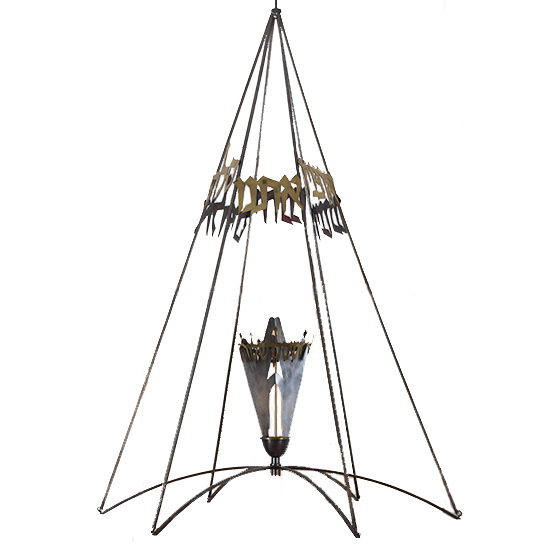 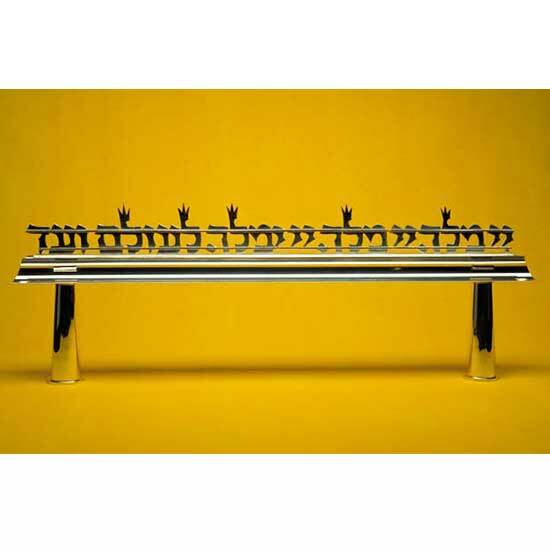 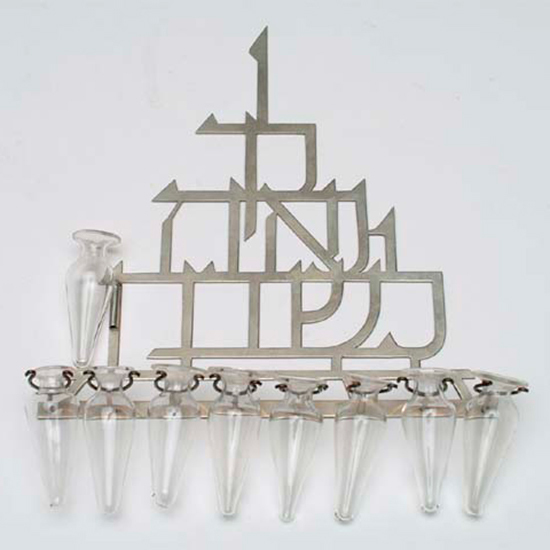 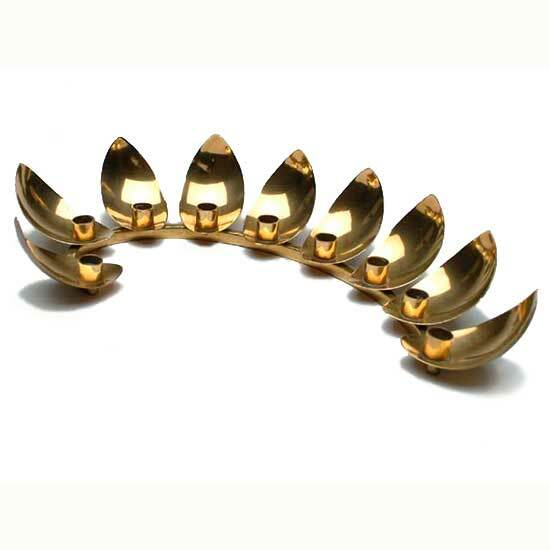 This havdalah set is a classic example of Wolpert's use of Hebrew letters as a design element. 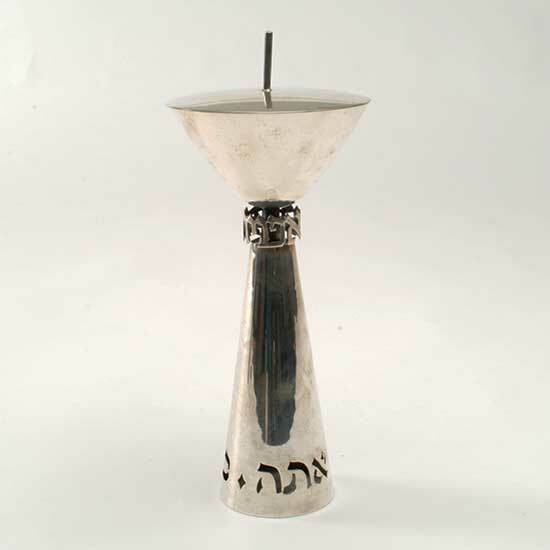 Havdalah, the service in the home at the conclusion of the Sabbath, includes blessings over wine, spices, and a candle. 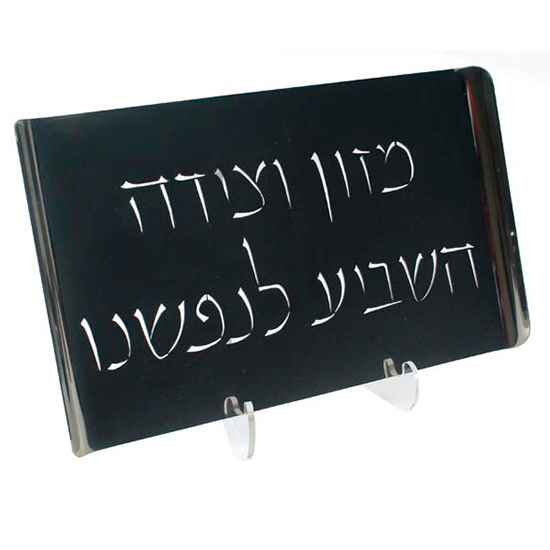 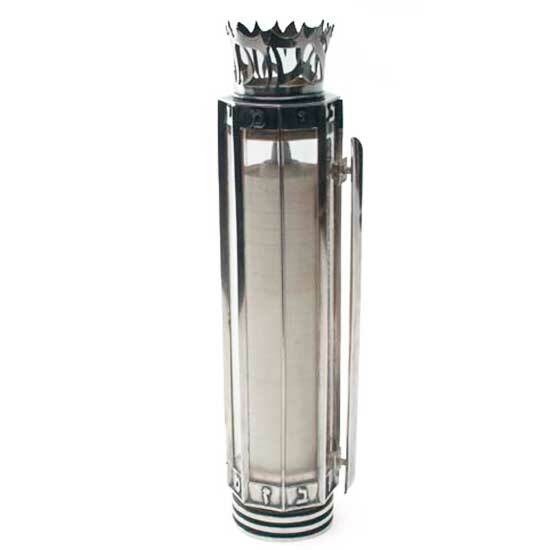 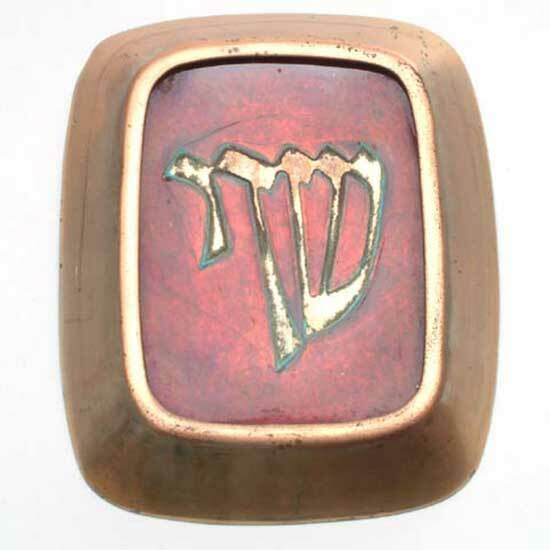 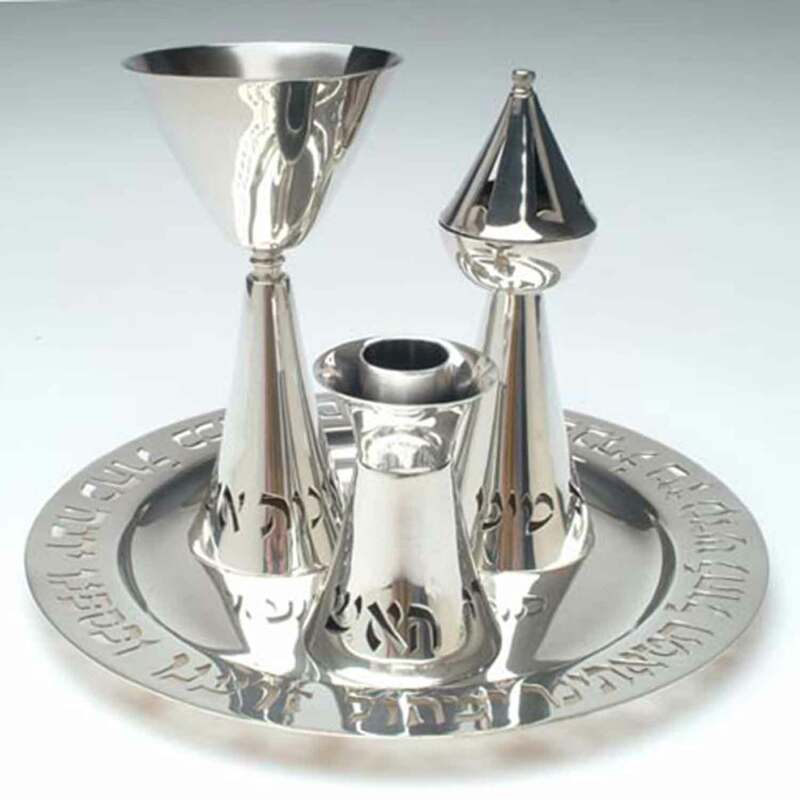 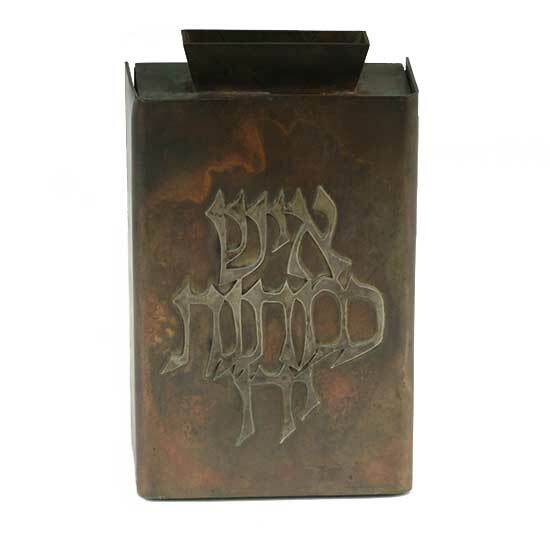 In this set, from the Tobe Pascher Workshop, Wolpert incised each item with its respective blessing from the ceremony.